​Facilities Management coordinates elevator repair on the campus, including preventive maintenance and emergency response. Perform all periodic maintenance and testing as well as install new systems. Routine fume hood maintenance includes testing and repair of exhaust systems, in-hood lighting, sash operation, and low-airflow alarms. we regularly check and record fume hood air flow velocities to ensure operator safety and regulatory compliance. Our skilled engineers can maintain and repair a variety of the campus' lab equipment and research support systems. We have expertise with controlled-environment growth chambers, ultra-low temperature freezers, aquaculture and fish hatchery systems, greenhouse lighting and ventilation systems, humidification, steam generation, and advanced air and water filtration. We supply the infrastructure and utilities needed to operate campus lab equipment. Utilities provided include: electricity, natural gas, purified water, compressed air, and vacuum. ​We are responsible for maintaining all mechanical equipment related to the heating, ventilation, air conditioning, and refrigeration trades. 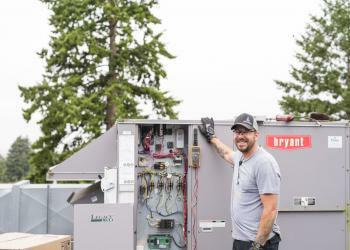 We service a wide variety of equipment ranging from package a/c units, chillers, gas heaters, walk in boxes, ultra low temperature freezers, supply, return, exhaust fans, and fancoils. We perform both corrective and routine preventative maintenance checks on all of our equipment. 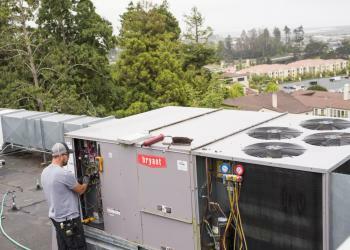 We repair and install new HVAC equipment for better temperature control and energy efficiency. We can also make scheduling and temperature changes upon request.